TAG’s Anti-Malware and Anti-Fraud Working Groups have spent the last several months updating the guidelines and tools associated with the Certified Against Malware and Certified Against Fraud Programs for anticipated final release in early July 2018. The drafts of those updated guidelines and their associated guides for best practices were circulated to all TAG compliance officers last week via e-mail with a request that any comments be provided back to TAG by June 15, 2018. TAG will also be holding a meeting of the Business Transparency Committee meeting on Thursday, May 31st, at 12:00pm ET as a forum for TAG members to learn more about the proposed changes or ask questions related to them. This briefing will be held via WebEx, so please be sure to register in order to receive a calendar invitation with log-in/dial-in instructions. If you have any have questions about the Community Drafts or how they apply to your company, please contact Team TAG at info@tagtoday.net. As the digital adverting sector gets to grip with the EU General Data Protection Regulation (GDPR), it also faces many other well-publicised safety challenges - be it fraud or inadvertently supporting sites that infringe copyright. Although good progress is being made on these issues cajoled by the ‘clean up your act’ rallying cries of marketers such as P&G’s Marc Pritchard and Unilever’s Keith Weed, the progress can often be fragmented. TAG is seeking to overcome this. Whilst global issues require a global approach, the reality is that markets often have different developments, jurisdictions, cultures, as well as political and regulatory environments. To this extent - and to steel the phrase from Richard Foan, Chair of JICWEBS - a ‘global standards for local markets’ approach is required. This involves tackling issues by recognising these differences but also by ensuring a consistent approach across markets. An international approach - supporting local market initiatives - will deliver a consistent approach for brand advertisers as well as the digital advertising supply chain, and ultimately the consumer who continues to access and engage with quality digital content funded by advertising at little or no cost. Standards put in place by industry bodies such as the Internet Advertising Bureau (IAB) are rapidly gaining popularity across the ecosystem. These include the ads.txt initiative, among others, which enables publishers to declare who has authorisation to sell their inventory and is designed to prevent practises such as inventory arbitrage and domain spoofing. Buyers, sellers and technology providers have all been urging the widespread adoption of the initiative, and as a result ads.txt has already been implemented by over half of programmatic publishers. 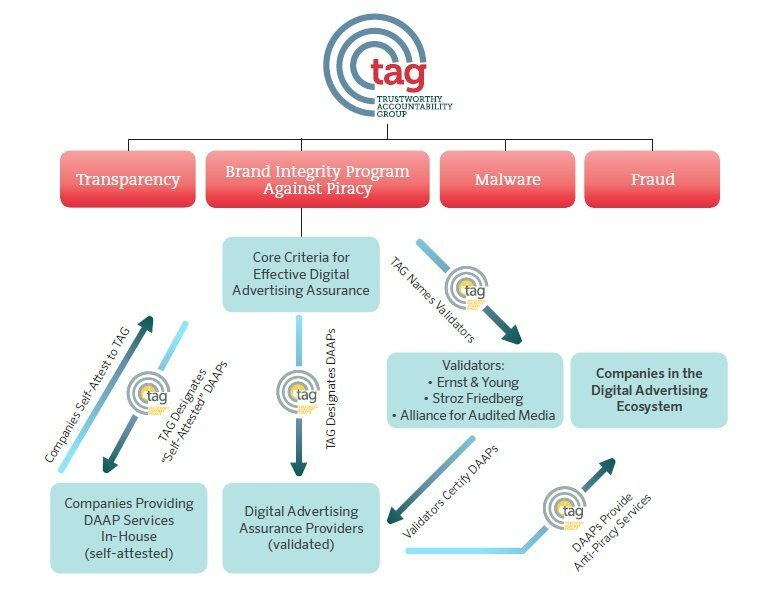 At the same time, cross-industry accountability programs such as the Trustworthy Accountability Group (TAG) aim to bring clarity to the ecosystem by fighting fraudulent traffic, malware and internet piracy as well as ensuring brand safety. By taking part in these initiatives themselves, or only working with providers who are certified through these programs, all sides of the ecosystem can help create a secure, high-quality marketplace and restore trust in digital advertising. As advertising has shifted to programmatic and real-time bidding, the increase in the volume of transactions made possible by these technologies has inadvertently made it easier to carry out fraudulent activities. In a recent study, nearly 70 percent of respondents said brand safety has become more important to their businesses. Advertisers are looking to ensure that ads will be displayed on brand-safe networks, not “fake news” sites with fringe or hateful content. Transparency in the ad supply chain is shifting from a nice-to-have to a need-to-have. Marketers have hundreds – even thousands – of partners that touch their ads before they actually are displayed on a website or device. The challenge is adding transparency to the process: making sure your partners are legitimate actors and that you’re avoiding fraudulent traffic. Common standards and a high level of partner accountability are becoming increasingly vital to the growth and health of this space. Mastering control of your data is a necessary first step to this process. Companies such as the Trustworthy Accountability Group are already at work on this, allowing marketers better control of their ad supply chain.